Think you know about thermals? Find out why it’s not all hot air in the June/July issue of S&G, where you can also read how clubs put the DG-1001 club neo through its paces as a trainer. Plus, discover how a glider simulator can enhance your learning. Experienced soaring pilots seem to have a nose for finding strong lift, knowing where to go, but perhaps not always being able to explain why. Tony Cronshaw talks to coach Kevin Atkinson, who explains why it’s not all about hot air and how physics can guide us to find the best thermals. 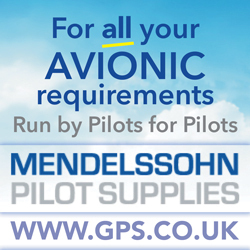 Getting in some valuable early season practice, a number of UK pilots took part in Germany’s Hahnweide Competition. Some great results were achieved against international pilots and Max Kirschner was able to capture three UK pilots competing in their Ventus 3s for our stunning cover photograph. The DG-1001 club neo has recently been on a tour around UK clubs. Instructors and students from Yorkshire and Oxford gliding clubs flew the glider to see how it fares as a club trainer and found it a worthy contender for future fleet upgrades. While there may be no substitute for the real thing, David Innes explains how we can use glider simulators to enhance the learning experience. They have their limitations, but simulators also have unique features, including the ability to pause and to replay a flight. Plus, of course, the ability to train whatever the time of day, weather, runway/aircraft status and in different glider types. Also in this issue: S&G reports on the gliding interests at Europe’s biggest aviation fair, held in Friedrichshafen in April. John Clark reports on an Australian gliding safari. Chris Gill reviews a pocket-sized device for rescue, tracking and messaging. Ebenezer Grimshaw breaks taboos, dispels myths and restores reality for newbies. 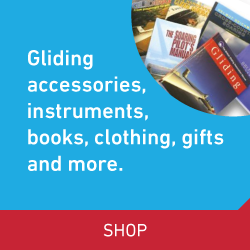 There’s a report on the Glide Britain national video campaign, and on the events keeping juniors flying all year around. Al Nunn contemplates why he has never won a nationals comp. Peter Saundby describes a variometer used by the RAF in 1922. 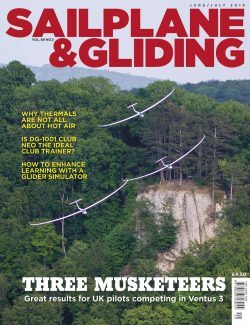 Alison Randle explores the benefits of bite-sized gliding. Pete Stratten provides an update on the latest EASA regulatory developments. There’s news and updates for your 2018 vintage soaring calendar. Plus many more of your stunning images in the Gallery pages. And last, but not least, there’s the BGA club annual statistics. Is planking it in the genes?